Fulham Bishops Park is an area set along the north bank of the River Thames. Bishop's Park is a Grade II listed park in which Fulham Palace – once home to the Bishops of London – is set. Buyers and renters can expect to find Victorian and Edwardian terraced houses for sale and to rent, as well as modern riverside flats. 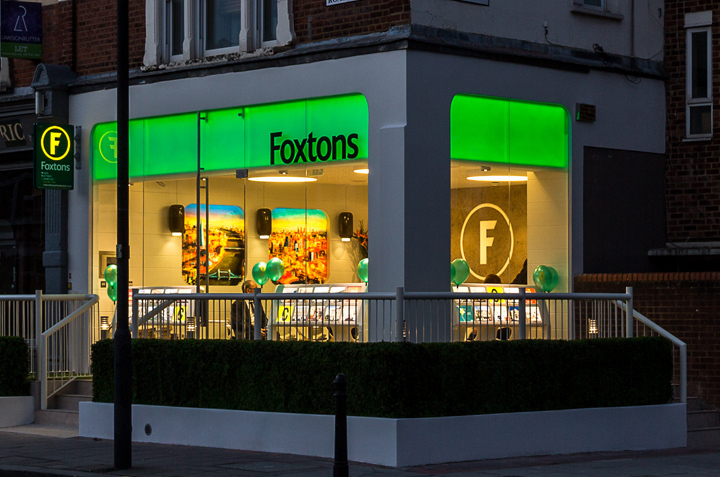 Foxtons are proud to be one of the leading estate agents in Fulham Bishops Park offering properties for sale and to rent in Fulham Bishops Park. Zaneta from day one was a pleasure to work with. She was very professional and had great attention to detail enabling us to find the apartment that was perfect for me. I highly recommend her services. I received excellent and attentive service from Foxtons and in particular Zaneta. I was given a comprehensive range of properties to view around the Hammersmith and Shepherds Bush area. Zaneta was very accommodating in terms of organising viewing times and rescheduling should professional commitments need to override. Overall I was very impressed by the service. The service and professionalism of Foxtons agents is faultless. I met with two agents during my home search and both went above and beyond to find me somewhere I would love. I viewed around 10 properties around London and each time the agents made sure they met some if not all my requirements. Foxtons were very human, helpful and efficient with my property search, and sensible with their advice and recommendations for me as a first time buyer. Zaneta and Rebecca made both the exciting and daunting process as hassle-free as possible! Stephanie was absolutely brilliant. She showed us homes that matched our criteria perfectly and gave valuable insight at every property we visited. Very helpful agency, when I met with Sabrina she was very helpful in understanding what I was looking for and helped me to find my perfect flat! Will use again in the future. Many thanks to Foxtons who helped me a lot in my search of apartment and especially Sabrina, the lettings negotiator who showed a patience very much appreciated and a great professionalism to realise quickly my rental record. I just wanted to mention how helpful and lovely Stephanie has been throughout my purchasing process. Stephanie made me very at ease and was very switched on to my needs and requirements. She really focused on what I was after and didn't show me random stock - which can be very annoying from a purchaser point of view. Stephanie is a great addition to your team and I know she's got a glowing career ahead of her. I have asked them to find 2 beds flat for rent in a moment. 100% busy time working in Italy and London as well and as a property finders for Italians, then relocation with my family in London etc. They have negotiated a great price, they have made me in contact with a gorgeous landlady and they have delivered a great customer service working under my pressure aimed to get the best with the cheapest price. They were excellent, polite instead of my pressure, and very professional. I am very satisfied with their support in that journey. My partner and I have been looking for an apartment for a very long time and have met COUNTLESS agents. Stephanie was by far the most professional, friendly and competent agent we have dealt with in this time and would strongly recommend her to any of our friends or family that are looking to buy. Stephanie was one of the best agents I've dealt with so far after being in London for 9 years. She's kind, non-evasive, polite and very experienced in this market/ area! I'm looking forward to doing more business with her in the future. Foxtons Fulham Bishops Park are a member of the key governing bodies, abiding by the strictest codes of practice. Why use Foxtons Fulham Bishops Park? The Fulham Bishops Park property market is competitive. Foxtons can give you an advantage.